Home » Blog » Enough Shelving? 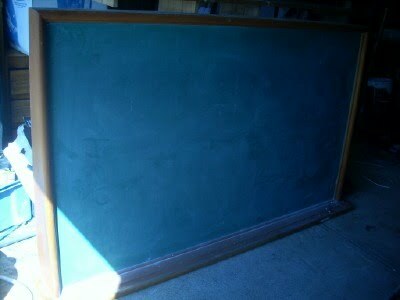 There were other items of interest left in the abandoned classrooms. 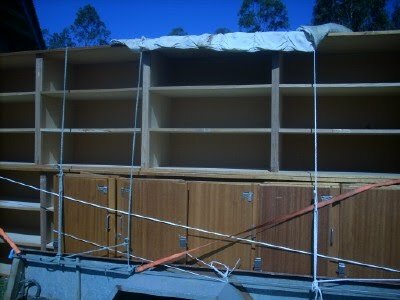 Six cupboards of 12 metre lengths each. PC and I gave serious consideration to purchasing these, for $30 each we would have immediate shelving for the extension. Downside the interior was of chipboard, upside it was good quality chipboard, was finished very nicely and the outside was timber veneer. 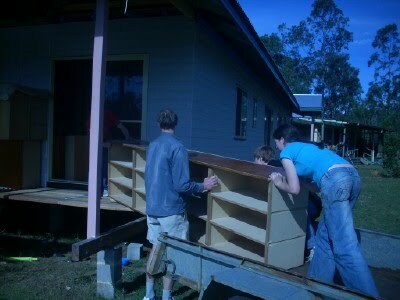 We purchased the lot, but it was a huge job to saw up all those cupboards and load them up. 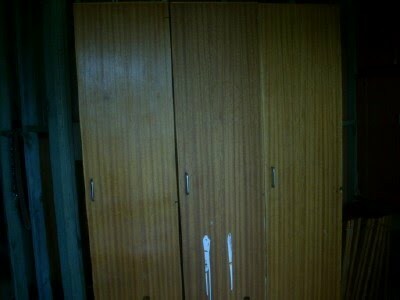 They had been made on site, 3 metres cubicles and then joined on top by the timber tops. Once PC solved the problem of where to saw the cutting began. It took PC and our three teenagers two solid days to complete this job. They were sporting aches and bruises by the end, we’re so proud of them though, they are real troopers. For 11 hours work and $200 we had a bargain. 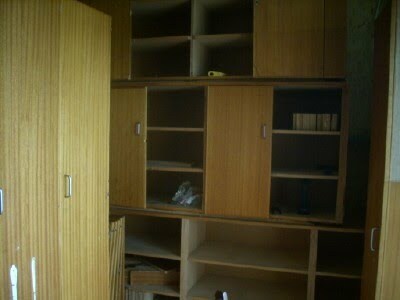 Each cupboard included a ‘broom’ cupboard. 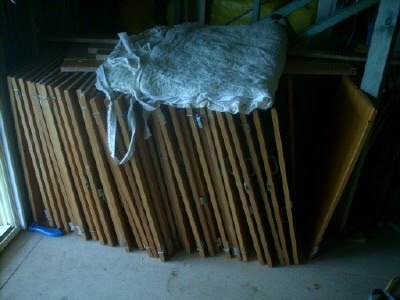 We are going to use these as hanging space each bedrooms’ built in. 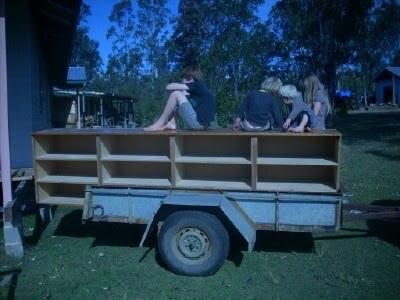 It took four trailer loads to bring all the cupboards home. 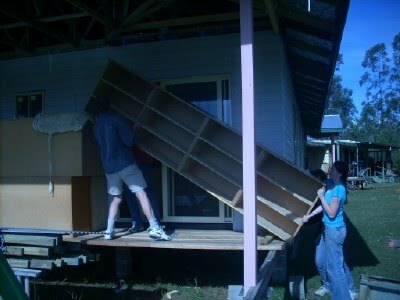 For the moment the majority of the cupboards are stored on the Western verandah. 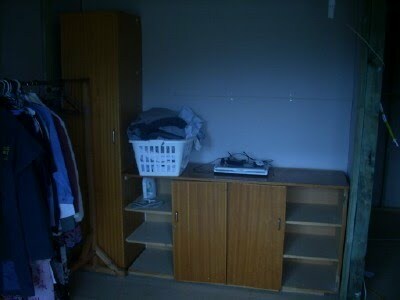 Some are sitting in the laundry which will be their permanent home. You can’t properly see just how much shelving there is as some of the cupbaords are facing backwards. What you can see is exactly how the rest of it is. 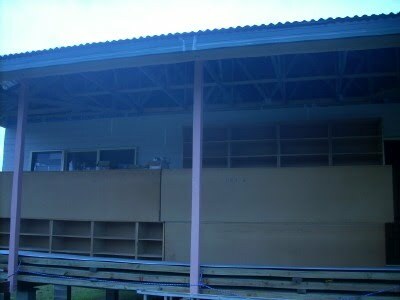 36 metres of shelving, three shelves in each, 4-5 cubicles each. Do you think we will have enough shelving? 2 Comments on Enough Shelving?